Shave and a haircut – two bits! Not sure where that comes from, I just know my mom used to sing it! Seemed appropriate for this story. 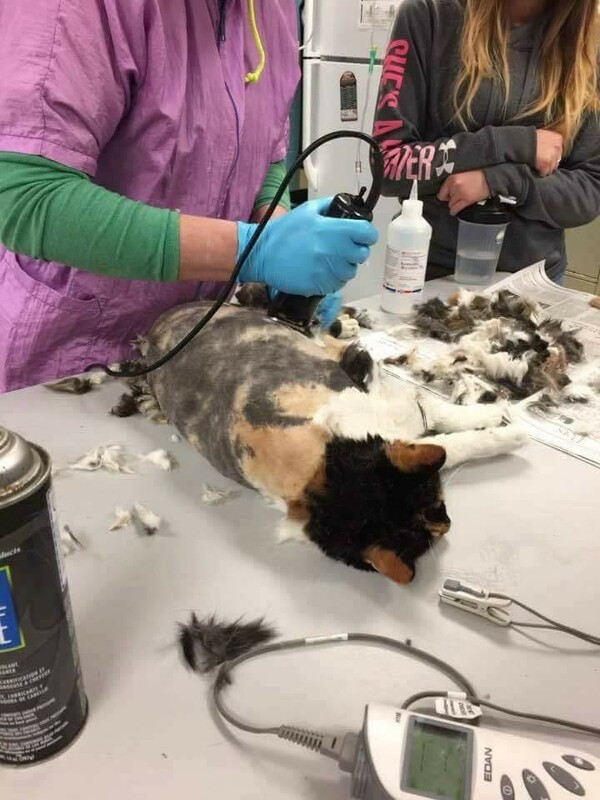 One seriously neglected cat was in dire need of some help. She had an extreme case of matting. Her name is Hidey. 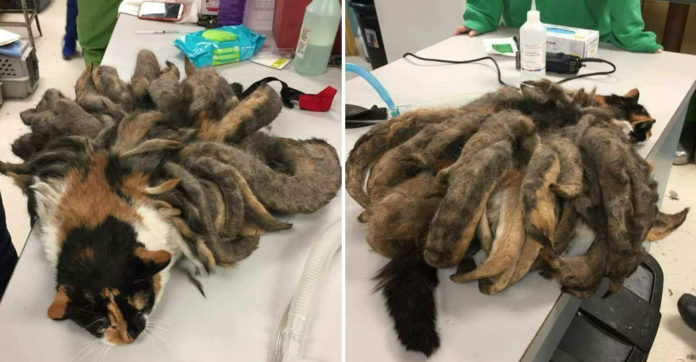 When she arrived at the Animal Rescue League Shelter and Wildlife Center, she looked like an octopus. Her owner, who suffers from Alzheimer’s was taken to a nursing home. 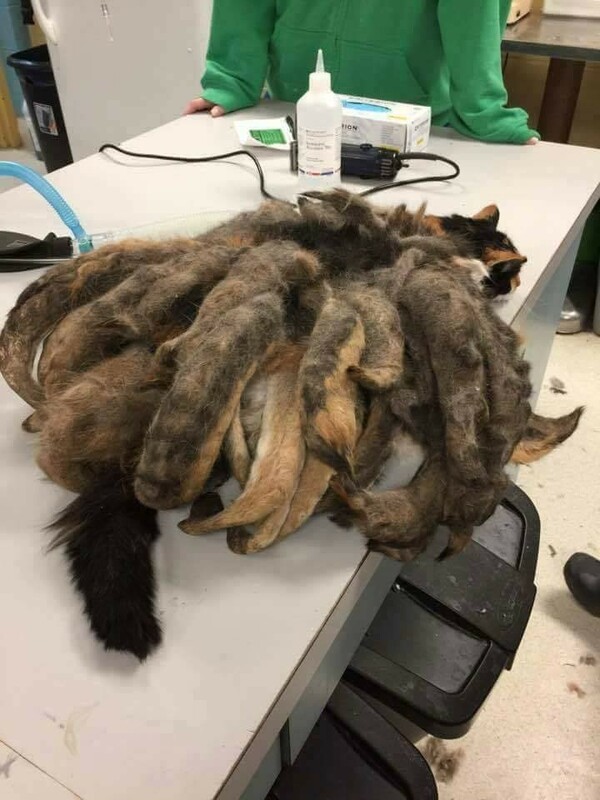 Hidey’s fur was so matted, it was likely Hidey had been neglected for years. Some of the ‘dreadlocks’ were 6 to 8 inches long. 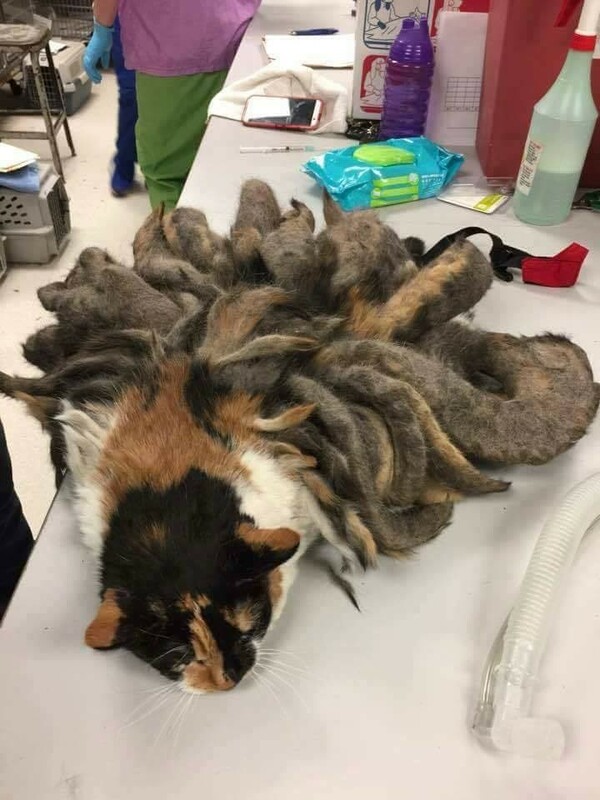 Emily P, a certified veterinary technician, said that when the cat sheds, the fur that fell off can stay with the mats and that eventually can cause all the mats that Hidey has. Jenn Levitzki, another vet tech. said that the mats were fairly easy to remove. Hidey was sedated for the procedure, to make her more comfortable.